Cassville Intermediate counseling staff and teachers team up to present a different character trait every month. Classroom teachers then nominate students for awards in recognition of exemplifying that trait. 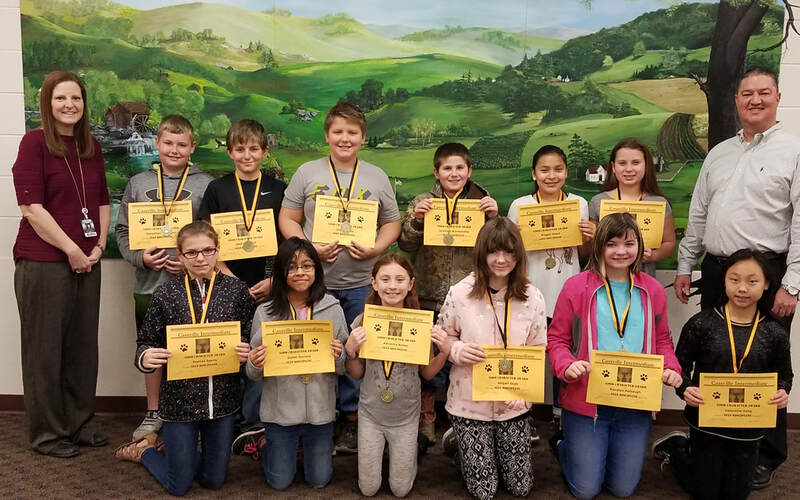 Students were selected during the month of March for self-discipline. Third grade award winners are pictured above, from left to right. In the front row: Fantasia Cotton, Airi Bruton, Cherish Johnson, Khloe Isbell and Sunshine Vang. Back row: Jordan Weiser, Logan Parsons, Landon Lyles, Joe Alsobrooks, Koby Fare and Bryson Holeman. Not pictured: Kenney LeWallen. Cassville Intermediate counseling staff and teachers team up to present a different character trait every month. Classroom teachers then nominate students for awards in recognition of exemplifying that trait. 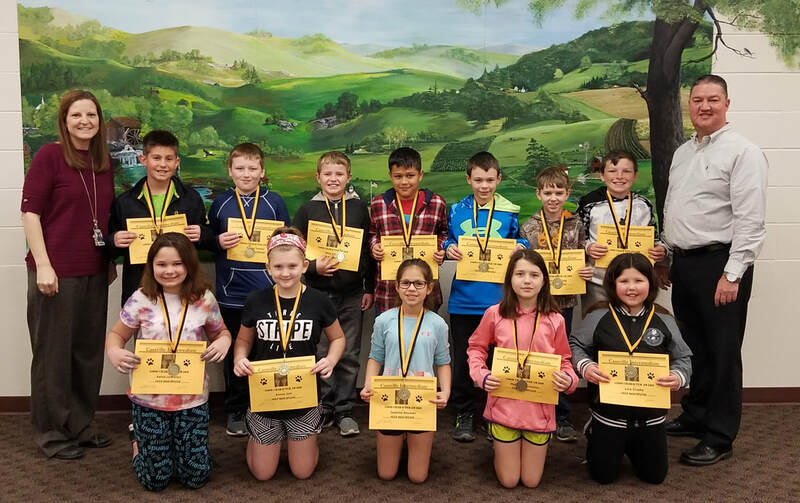 Students were selected during the month of March for self-discipline. Fourth grade award winners are pictured above, from left to right. In the front row: Xaina LeWallen, Emma Jett, Isabella Bauman, Makayla Connolley and Leia Crosby. Back row: Bradyn Alley, Zander Easley, Benji Elliott, Aidan Mendoza, Ian Wallace, Chance Bowling and Chase Ruark. Cassville Intermediate counseling staff and teachers team up to present a different character trait every month. Classroom teachers then nominate students for awards in recognition of exemplifying that trait. 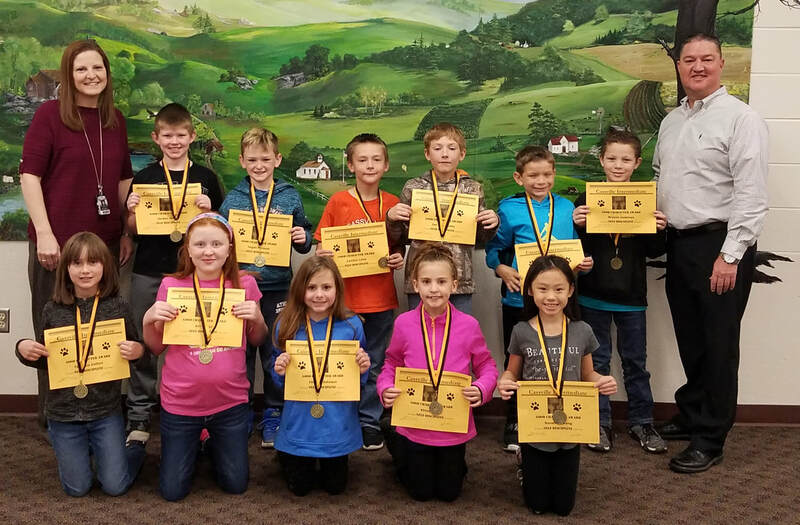 Students were selected during the month of March for self-discipline. Fifth grade award winners are pictured above, from left to right. In the front row: Desiree Sports, Isabel Serrano, Adrianna Kelley, Abigail Stott, Kierstyn Kalbaugh and Valentine Vang. Back row: Donovhan Middleton, Josh Crawford, Isaac Luney, Jeremiah Blankenship, Maggie Akers and Caysee Stillings.